Sleep disorders are prevalent in the Saudi population, and the demand for sleep medicine services is expected to increase significantly. The prevalence of various sleep disorders in the Kingdom of Saudi Arabia (KSA) is comparable to that in Western countries. The practice of sleep medicine in the KSA began in the mid to late 1990s and continued to expand since. Clear guidelines for accrediting sleep medicine specialists and technologists were developed recently. Nevertheless, there remain numerous challenges to the progress of this specialty, including the lack of trained technicians, specialists, and funding. To meet these challenges, two training programs that provide structured training and certification in sleep medicine have been established. Additionally, special training programs and courses are organized for sleep technologists. In this chapter, we address the current structure of sleep medicine practice in the KSA and the Arab world, the prevalence of sleep disorders, and the strategies needed to overcome the current challenges that hamper the progress of sleep medicine as a specialty in the country. Interest in sleep and sleep disorders has existed in all cultures since the beginning of humankind. For Arabs and Muslims, sleep has a unique value as it is frequently mentioned in the Holy Qu’ran, including a verse that says, “And among His signs is your sleep by night and by day” (Sūrah 30, Ar-rūm, verse 23) (BaHammam and Gozal 2012). Additionally, Muslim scholars developed an interest in sleep as a sign of the greatness of the Creator and explored sleep and dreams in their writings. They had significant contributions to the understanding of sleep and dreams during the Middle (medieval) Ages (BaHammam et al. 2018). Nevertheless, sleep medicine as a modern medical specialty is new in the Kingdom of Saudi Arabia (KSA) and Arab countries. The development of sleep medicine is sufficient to place it as an independent specialty (BaHammam 2011). In the early and mid-1990s, pulmonologists in the KSA used overnight pulse oximetry to diagnose obstructive sleep apnea (OSA) and titrated continuous positive airway pressure (CPAP) therapy blindly to comfort patients and eliminate repetitive dips in oxygen saturation (Al-Mobeireek et al. 2000). Additionally, in the 1990s, the lack of designated sleep disorders clinics in hospitals led to patients with sleep disorders occupying hospital beds that could otherwise have been used to treat acutely ill patients needing inpatient care (BaHammam and Rahman 2000). In 1998, BaHammam and Rahman demonstrated that in the absence of proper sleep disorders treatment facilities, the average hospital stays for patients with OSA needing CPAP titration were 4.5 nights at a cost of ~ SR 6750 (~$2000 USD) per patient (BaHammam and Rahman 2000). Recent awareness of sleep medicine as a medical specialty in the KSA has led to the opening of several sleep disorders centers in different regions of the country; however, the services still face many challenges. The land area of Saudi Arabia is estimated to be 2,150,000 km2 (830,000 miles2), making the KSA the fifth largest country in Asia and the second largest country in the Arab world. The most recent official census from 2017 estimated the population of Saudi Arabia to be 32.5 million people, with nearly two-thirds being less than 30 years old and one-third being under 15 years old (General Authority for Statistics 2017). The Ministry of Health is the primary governmental provider of healthcare services in the KSA (Almalki et al. 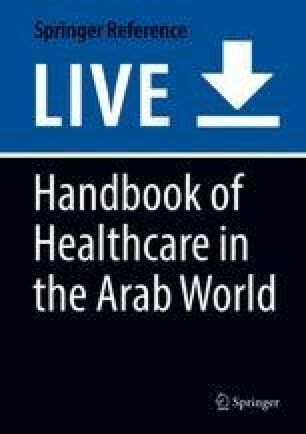 2011; Ministry of Health 2009) and assumes the costs for all healthcare expenses in government-owned hospitals. All Saudis and all government employees have free access to government-funded healthcare services. Other residents visit the private healthcare sector. In the private sector, healthcare costs are paid by insurance companies or patients themselves (Almeneessier and BaHammam 2017). In 2010, the number of physicians and nurses in Saudi Arabia per 10,000 population was 16 and 36, respectively; these numbers are lower than those in developed countries (Almalki et al. 2011). The waiting lists for sleep studies in the KSA are of significant concern and were last reviewed in 2007 and highlighted the extent of sleep disorders in the KSA (BaHammam and Aljafen 2007). Two previous studies that assessed the prevalence of OSA risk and symptoms among middle-aged Saudi men and women in a primary care setting using the Berlin questionnaire (a validated questionnaire that stratifies subjects into high-risk and low-risk categories) revealed that 3 out of 10 Saudi men and 4 out of 10 Saudi women are at a high risk of OSA (BaHammam et al. 2008, 2009; Netzer et al. 2003). The reported risk of OSA using the same evaluation tool in Jordan and UAE was 16.8% and 20.9%, respectively (Khassawneh et al. 2009; Mahboub et al. 2013). A recent study used polysomnography to assess OSA prevalence in a sample (n = 346) of Saudi school employees aged 30–60 years (Wali et al. 2016). The prevalence of OSA (defined as an apnea-hypopnea index (AHI) of ≥5/h of sleep) was 11.2% and 4.0% in men and women, respectively, and the rates of obstructive sleep apnea syndrome (OSAS) (an AHI of ≥5 plus daytime sleepiness) were 2.8% (4.0% in men and 1.8% in women) (Wali et al. 2016). Another study assessed sleep-disordered breathing using type II comprehensive unattended polysomnography in Saudi patients admitted to the coronary care unit with acute coronary syndrome during the acute event and 6 months later and reported that 56% of these patients had OSA (AHI >10/h) (BaHammam et al. 2005). The prevalence of obesity in children and adolescents in Arabic-speaking countries ranges from 5% to 14% in males and from 3% to 18% in females (Badran and Laher 2011), while the prevalence of obesity in adults is 2–55% in females and 1–30% in males (Badran and Laher 2011; AlBlooshi et al. 2016; DeNicola et al. 2015; Ng et al. 2014). Obesity, which is an important risk factor for OSA, is also prevalent in both genders and different age groups in the KSA (Al-Nozha et al. 2005; Al-Othaimeen et al. 2007; El Mouzan et al. 2010). A nationwide survey conducted between 1995 and 2000 reported that ~half (50.2%) of Saudi women between 40 and 49 years were obese (body mass index (BMI) ≥30 kg/m2) (Al-Nozha et al. 2005). Obesity is more prevalent in middle-aged Saudi women compared to that in Western countries (BaHammam et al. 2009). Female Saudi patients referred to a sleep disorders center with a clinical suspicion of OSA tend to be older, more obese, and have insomnia more frequently than Saudi men (Alotair and BaHammam 2008). It is estimated that there is more than a 10-year delay between symptom onset and referral to sleep disorders centers for Saudi women with OSA (Alotair and BaHammam 2008), which supports the belief that OSA is still under-recognized and underdiagnosed in the KSA. It is likely that Saudi women have a higher AHI than Caucasian women with similar BMI values, a likely explanation, at least in part, being that Saudi women with OSA are older at presentation (Ng et al. 2014). Other possible explanations include differences in tolerance of symptoms and delays in referral to sleep services. Nevertheless, the role of genetic factors and differences in craniofacial structures and upper airway anatomy also need to be examined (Alotair and BaHammam 2008). A recent study reported that the characteristics of dental occlusion in a subset of nonobese Saudi populations have no relationship to the severity of OSA (Alqahtani et al. 2018). These findings disagree with previous studies, which reported that Class II malocclusion is closely associated with the severity of OSA, due to a backward positioning of the tongue in such patients (Banabilh et al. 2010; Banabilh 2017). This difference could be related to ethnicity, as some racial groups present predominantly with Class I malocclusion in OSA conditions (Patel and Nagle 2013). Further research is needed to characterize the relationship between malocclusion and OSA in Arabs. OSA is also prevalent in Saudi children, as are the increasing rates of childhood obesity in the KSA (Al Dhaifallah et al. 2015; El Mouzan et al. 2010; Alqarni 2018). Approximately 18% of elementary Saudi school children have been reported by parents to snore more than three nights per week (BaHammam et al. 2006a). This prevalence appears to be higher than that reported in a meta-analysis that included studies from all continents, where the prevalence of parent-reported snoring in children was estimated to be 7.45% (95% confidence interval, 5.75–9.61) (Lumeng and Chervin 2008). It is important to bear in mind the wide variations in the reported prevalence (1.5–34.5%) of snoring in children in different parts of the world (BaHammam et al. 2006a; Stein et al. 2001). These differences in snoring prevalence in children may be due to variations in snoring definitions, questionnaires used, cultural acceptance of snoring as a normal phenomenon, and prevalence of obesity in elementary school children (BaHammam et al. 2006a; Lumeng and Chervin 2008; Al Shehri et al. 2013). A few studies have also assessed the prevalence of other sleep disorders in the Saudi population. The prevalence of obesity hypoventilation syndrome in patients referred to sleep disorders specialists with a clinical suspicion of OSA was 8.5% (BaHammam 2015). The estimated prevalence of narcolepsy with cataplexy in Saudis is 40/100,000 people (BaHammam and Alenezi 2006; al Rajeh et al. 1993), which is within the range reported in other estimates of the prevalence of narcolepsy with cataplexy of 25 and 50 per 100,000 people (Longstreth et al. 2007). The prevalence of restless leg syndrome among Saudis is reported to be 5.2–8.4% (BaHammam et al. 2011; Wali and Abaalkhail 2015), which falls within previously reported ranges of RLS prevalence (3–12%) in other countries (BaHammam et al. 2011; Ohayon et al. 2012). A recent study reported that the prevalence of insomnia with daytime dysfunction in patients attending primary care centers was 57.1% (Almeneessier et al. 2018a), while another recent study assessed the prevalence of insomnia (defined as difficulty initiating sleep, early morning awakening, or frequent awakening associated with daytime dysfunction) in employees and visitors at a medical center to be 78% (75–79%), with a higher prevalence in women 89% (86–90%) than for males, 70% (68–73%) (Ahmed et al. 2017). The practice of sleep medicine in the KSA and other Arab countries is relatively new and was started in the mid to late 1990s (with the return of Arab scholars who were studying in Western countries) and continues to rapidly expand. Despite the significant growth in sleep medicine in the KSA, service shortages continue to exist compared with services in developed countries (BaHammam and Aljafen 2007; BaHammam et al. 2014a). According to a national survey (2013), sleep medicine diagnostic and therapeutic centers are located in three cities: Riyadh (six sleep facilities), Jeddah (seven sleep facilities), and Dammam (five sleep facilities) (BaHammam et al. 2014a). The number of beds designated for sleep disorders centers/100,000 people and the number of sleep studies/100,000 people in the KSA are shown in Table 1, which also compares this with data taken from developed countries (BaHammam and Aljafen 2007; BaHammam et al. 2014a; Flemons et al. 2004; Masa et al. 2004; Tachibana et al. 2003; Tachibana et al. 2005). The number of beds/100,000 people was 0.11, and the number of studies/100,000 people was 18.0 in 2013 (BaHammam et al. 2014a). The number of sleep medicine specialists (defined as doctors who completed a minimum of 6 months of formal full-time fellowship training in sleep medicine) in a national survey (2013) was 37, which translates to 0.012/100,000 people (BaHammam et al. 2014a). The 2013 Saudi national survey showed that of sleep studies performed, 80% investigated patients with sleep-disordered breathing, 7% addressed movement disorders, 5% studied narcolepsy, 7% examined insomnia, and 1% explored other conditions (BaHammam et al. 2014a). Most (~90%) of sleep disorders centers were led by pulmonary medicine specialists (BaHammam et al. 2014a), with most receiving specialty training in North America, and following the American Academy of Sleep Medicine (AASM) guidelines for the diagnosis and treatment of different sleep disorders. The KSA has many otolaryngologists with interest in surgical procedures to treat OSA such as hypoglossal nerve stimulation. Some dentists in the KSA also have training in the management of OSA using mandibular advancement devices, while procedures such as maxillomandibular advancement surgery are performed by Saudi doctors. As there are no specialized psychologists in sleep facilities, sleep medicine physicians provide cognitive behavioral therapy (CBT-I) for complaints of insomnia. The Saudi Sleep Medicine Group, which includes sleep medicine specialists throughout the country, was established in 2009 under the umbrella of the Saudi Thoracic Society. Since then, the group has held annual meetings that are well attended by practicing specialists and technologists in the region. Similar sleep medicine societies or groups also exist in other Arabic counties such as Egypt, Algeria, Tunisia, and Morocco. Despite individual efforts by some sleep specialists to educate the public on sleep disorders, the majority of the population remains unaware of the serious consequences of sleep disorders, sleep deprivation, and disturbances of biological sleep rhythms. Sleep deprivation is a major problem in Saudis and Arab adults and children (BaHammam et al. 2006b; Al Fotaih et al. 2009; Al-Hazzaa et al. 2012; Mullis et al. 2011). Several studies in the KSA and Arabian Gulf countries (GCC) demonstrate a strong association between short sleep duration and increased BMI and waist circumference (Al-Hazzaa et al. 2012; Kilani et al. 2013; Al-Hazzaa 2014; Al-Hazzaa et al. 2014; Al-Haifi et al. 2015; Merdad et al. 2014). Short sleep duration in children and adolescents was linked to high screen time, low physical activity, and having a low intake of breakfast (<3 days/week compared with 5 days or more per week) (BaHammam et al. 2006b; Mullis et al. 2011; Al-Hazzaa et al. 2014). Sleepiness is very common among city drivers in the KSA, so that 12% of motor vehicle accidents were attributed to sleepiness, while 25% of drivers reported falling asleep at least once during the study period (6 months) (BaHammam et al. 2014b). About 95% of truck drivers in the KSA reported that they had accidentally fallen asleep at least once during driving over the past 6 months, and 50% stated that this had happened more than five times during the last 6 months [Unpublished data]. Another recent study of pilots of commercial airplanes in the Arabian Gulf region revealed that 34% of pilots had an Epworth Sleep Scale (ESS) score ≥10 (suggesting excessive daytime sleepiness) and 45% reported falling asleep at the controls at least once without knowledge of their colleagues (Aljurf et al. 2017). The majority of the participants in both studies attributed excessive sleepiness to a lack of adequate sleep. Another special occasion that is associated with sleep disturbances in Saudis (and to some extent in other Arab countries as well) is related to sleep habits during the holy month of Ramadan. In the KSA and some Arab countries, the start of work is delayed, and working hours are adjusted during Ramadan for individuals who fast. Studies conducted in three Arab countries (JSA, UAE, and Morocco) (BaHammam 2003; BaHammam 2004a; BaHammam 2005; Margolis and Reed 2004; Taoudi Benchekroun et al. 1999; Qasrawi et al. 2017) consistently reported a significant delay in bedtime and early rise times during Ramadan, which interestingly also occurred in non-Muslim residents of the KSA (BaHammam 2005). While this observed delay in bedtime and early rise times could be partially explained by the delay in the start of work during the month of Ramadan, other factors such as delayed work hours for stores, shopping malls, and restaurants and the broadcasting of interesting TV programs until late at night are also important to consider (Qasrawi et al. 2017; BaHammam 2006). Additionally, excessive eating during the night can cause a shift delay in the circadian rhythm and result in sleep delay (Qasrawi et al. 2017). A study assessing the sleep/wake schedule and sleep duration objectively in the KSA using the SenseWear Pro Armband™ in eight Muslim and eight non-Muslim volunteers during a baseline period (1 week before Ramadan) and the first 2 weeks of Ramadan reported a delay in bedtime and wake times and a significant reduction in total sleep time in Muslim volunteers compared with the non-Muslim participants (BaHammam et al. 2013a). However, it is important to keep in mind that these changes cannot be generalized to other Arab countries as several studies report that sleep disturbances during Ramadan are related to lifestyle changes associated with Ramadan rather than the practice of diurnal intermittent fasting per se (Qasrawi et al. 2017; BaHammam et al. 2010, 2013b, 2014c; Almeneessier et al. 2017, 2018b). Therefore, many of the reported changes in sleep pattern during Ramadan may reflect cultural and lifestyle changes in different regions (Qasrawi et al. 2017). In this context, it is also important to consider both nighttime sleep duration and daytime naps when assessing sleep duration during Ramadan (BaHammam 2006). The circadian rhythm is particularly sensitive to the fasting/feeding schedule and mealtimes. Misalignment of the circadian system results in several cardiometabolic disturbances including impaired glucose tolerance, decreased insulin sensitivity, elevated inflammatory biomarkers, elevated mean arterial pressure, and decreased energy expenditure, which leads to weight gain. Additionally, shift work is also associated with a higher risk of cardiometabolic dysfunction (Almeneessier et al. 2018c). Sleep medicine clinics need qualified sleep medicine specialists and sleep technologists. The number of sleep medicine specialists and technologists does not currently meet the increasing demand for this service (BaHammam and Aljafen 2007). Two academic centers in the KSA have recognized this shortage of sleep specialists in the KSA and have put into place sleep medicine fellowship programs. The King Saud University (KSU) in Riyadh took an important step by developing the first structured fellowship program in sleep medicine in 2009. This program focuses on the clinical sciences of sleep medicine, the research skills needed for sleep medicine, and the management of sleep disorders centers (University Sleep Disorders Center 2009). The program is a 2-year fellowship program, where the first year includes combined pulmonary medicine and sleep medicine training, while the second year focuses on sleep medicine training (Almeneessier and BaHammam 2017). A recent diploma program in sleep medicine was introduced in 2016 at the King Abdulaziz University (KAU) in Jeddah, with ongoing plans to establish a national interdisciplinary training program to serve the entire country under the umbrella of the Saudi Commission for Health Specialties (a Saudi Board of Sleep Medicine). Two national surveys revealed that a “lack of trained sleep technologists” was one of the main obstacles facing the establishment of sleep medicine service in the country (BaHammam and Aljafen 2007; BaHammam et al. 2014a). To overcome this problem, intensive courses and workshops are organized to train more sleep technologists. These 3- and 6-month structured training programs for sleep technologists are held at KSU and KAU (Almeneessier and BaHammam 2017). Sleep medicine was not accredited as a specialty in the KSA until 2012, when the Saudi Commission for Health Specialties published clear guidelines for accrediting sleep medicine specialists and technologists (BaHammam et al. 2013c; Montserrat et al. 2015; Gozal 2013). This step allowed for guidelines for expected competencies in practicing sleep medicine and for sleep technologists. The licensing of sleep medicine practitioners and technicians implies that the local health authorities recognize sleep medicine as a distinct medical specialty. The recognition of sleep medicine as a distinct specialty will enhance the growth of sleep medicine as a medical specialty while maintaining a high standard of care. The number of trained and accredited sleep medicine specialists in the country continues to be relatively low (n = 37) (BaHammam et al. 2014a). The shortage of trained sleep technologists is the primary obstacle facing sleep medicine service in the KSA (BaHammam and Aljafen 2007; BaHammam et al. 2014a). More than 80% of hospitals surveyed confirmed that a lack of trained sleep technologists was the main barrier to the establishment of a sleep disorders center (BaHammam and Aljafen 2007; BaHammam et al. 2014a). In general, sleep medicine is not included in the curricula of medical schools in the KSA (Almohaya et al. 2013), as also reported in Egypt (Zaki et al. 2016). Similarly, postgraduate medical doctors do not receive adequate structured education on sleep disorders during their residency training (BaHammam 2011). Likewise, practicing general physicians have limited knowledge about sleep disorders. Several studies report that the practicing physicians’ knowledge on sleep disorders is limited (Alotair and BaHammam 2008; Saleem et al. 2017; BaHammam 2000; BaHammam 2004b, c). Collectively, this lack of education on sleep medicine and its disorders causes physicians to have limited knowledge about sleep disorders and so possibly leading to under-recognition of sleep disorders and delays the diagnosis. Sleep medicine does not appear to be a priority or core competency specialty by some decision-makers. A recent Saudi national survey revealed that “unconvinced administration” was one of the major obstacles facing the establishment of sleep disorder facilities in about 50% of the hospitals in the Kingdom (Fig. 1) (BaHammam et al. 2014a). A major barrier to the development of sleep medicine practice in the private sector is that most insurance companies do not cover the cost of sleep studies for patients with non-respiratory sleep disorders (such as narcolepsy) or for treatment with CPAP or mandibular advancement devices. However, some government-owned hospitals provide patients with sleep-related breathing disorders with positive airway pressure devices free of charge. All sleep facilities in the KSA are hospital based. There are no efforts or regulations to support outpatient/freestanding sleep laboratories and clinics. In the USA, independent/stand-alone sleep laboratories represent 40–50% of sleep laboratory business (ResMed 2015). As in most developing countries, an important limitation faced by sleep medicine practitioners in the KSA and Arab countries in general is the lack of technical support of diagnostic equipment, after-sales service, and education of the end users (Gitanjali 1998). It is difficult to obtain commonly used controlled medications to treat insomnia and narcolepsy (e.g., modafinil, eszopiclone) because the manufacturers of these medications do not have a distributor network in the KSA and many Arab countries. Hence, these medications are obtained through a special request through the hospital, and as a result, patients with sleep disorders could experience long periods without treatment because of drug unavailability. Although the last three decades have witnessed significant growth and evolution in sleep research worldwide, sleep research remains underdeveloped in Arab countries, which mirrors the underdevelopment in the clinical service overall. Regionally, the KSA was ranked fourth after Turkey, Israel, and Iran in sleep medicine publications (Robert et al. 2007). It is obvious that more sleep research is needed, particularly research that addresses the prevalence of different sleep disorders in the KSA and other Arab countries. Such research will educate healthcare providers and decision-makers to the size of the problem and help strategic health planners to estimate the number of sleep specialists and sleep facilities needed to meet the increasing demand. Academic centers should develop postgraduate research programs for clinical and basic sleep research. Collaboration among local centers and development of a national or regional registry for sleep disorders and affiliations with internationally renowned research centers will reflect positively on the volume and quality of published work. Sleep medicine practice and training is rapidly developing in Saudi Arabia and other Arab countries. However, several obstacles exist that hamper its progress, including a lack of adequate specialized medical and technical staff as well as a lack of awareness about sleep disorders and their consequences among healthcare workers, healthcare authorities, and insurance companies. A major challenge for the future is educating students and physicians about the high prevalence and serious consequences of sleep disorders. Population and strategic planning studies are needed to help policymakers estimate the number of sleep specialist and sleep facilities needed to meet the increasing demands of the growing population.